Hychico believes that hydrogen will play a key role as an energy vector in future. In line with this vision, and in order to match the growing demand for energy that may not be met by conventional energy sources, as well as to contribute to mitigating greenhouse gas emission, we have focused our efforts on wind-to-hydrogen production in the Argentinean Patagonia. According to Hychico, the estimated 2000 GW wind power potential of Patagonia, with a population less than 3 inhabitants/km2, its topography, water availability, infrastructure and skilled labor from the oil industry, offer the best combination for a large-scale sustainable Wind-H2 project. 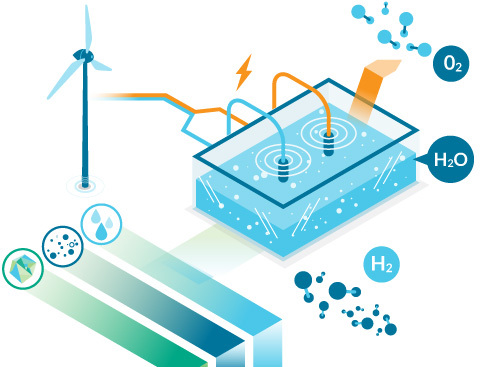 It is with this idea in mind that Hychico started working on a pilot project that would go beyond laboratory scale, consisting in a hydrogen and oxygen production plant using water electrolysis, and a wind park as a primary source of electricity to be sold to the Wholesale Electricity Market. 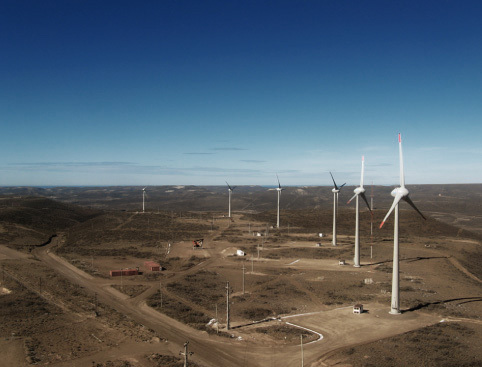 The Diadema Wind Park, comprising seven 0.9-megawatt Enercon E-44 wind turbines and a total installed capacity of 6.3 MW, is located approximately 20 km (12.43 mi) northwest of Comodoro Rivadavia City, Chubut Province, Argentina. 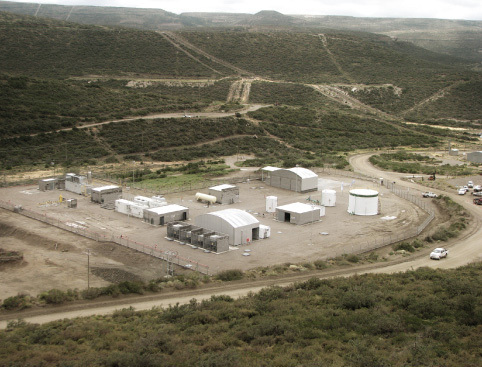 The plant, which is located approximately 20 km (12.43 mi) away from Comodoro Rivadavia City, in Chubut Province, was commissioned in December 2008. It has two electrolyzers with a total capacity of 120 Nm3/h of hydrogen and 60 Nm3/h of oxygen. According to surveys published by international energy agencies, global energy consumption is expected to grow steadily and continuously, at a rate of 1.5-2 % per year.